One of the most beneficial activities that I have adopted and that has changed my life is to be thankful. Gratitude is such a powerful element to enrich a persons life. I find that when I look for things to be grateful for, that I find them. It has also been true that when I look only for the negative, that it what I will also find. It has been important for me to be mindful of my gratitude. I have found that even when I am in the midst of life’s storms, there is always something that I can be thankful for. As I reflect upon the past week I have come to realize how grateful I am for the gift of compassion and empathy. In my opinion it is a gift, as some people have been so hurt in their lives that they have shut their hearts off of caring about others and how they feel. Sadly, at one time this was me. It has been through a lot of work that I have been able to work through some of my own hurts. These hurts from the past and even the recent have actually helped me to develop greater compassion and empathy for others. 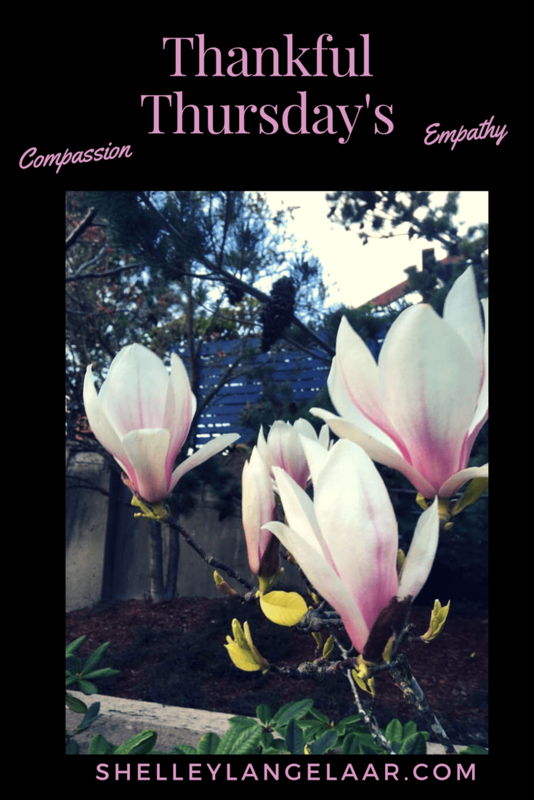 Compassion and empathy that only came once I let go of clinging on to the hurts. It is not always easy to let go of my hurts so that I can help others get through theirs. In honesty, there have been plenty of times in my life where I have held tightly on to the hurts and no matter how hard I tried to pick up some healing, the hurts would just get in the way. In time I was able to see that holding on to them just caused me even more pain. That pain kept me further away from others and it made me quite cynical and angry. As I have let go of some of that pain, I have been able to see things in such a different light. This does not mean that I don’t have periods of time where I get stuck in my pain. It does mean that I no longer get stuck for so long. Through my journey I have been able to see that some of the hardest roads have led to the most beautiful of places. Being thankful helps me to not stay stuck. It helps me to press forward into my life. Having compassion and empathy allows me to see that I am not alone and that only when I support other people can I really move forward into my purpose and my destiny. Compassion and empathy are very important. Always look on the positive side of life and your life will be positive. It is always important to be thankful for what you do have! I am thankful for my family and health. Those are great things to be grateful for. I love this reminder to be thankful. I’m thankful for my family, my support system and being able to travel around the world. I am truly blessed and thank God every day that I get to live the life I always dreamed. This is such a great idea for a post! Do you do this every Thursday? Being thankful is always keyboard only have a problem with the letting go part since it’s really something I need to worm on. The pain will make you get stronger, but never look back to the past, keep forward for the bright light in the future. Great post. What a beautiful post about two huge gifts in life: compassion and empathy! Thank you so much for sharing this! It is always good to be able to look at things you are thankful for and take note of them. I really think it can help boost your mood. You are so right! Most people tend to focus on the negative, and what they don’t have. Being thankful and giving thanks to others helps you to turn your viewpoint around and look at things in a more positive light. It’s so easy to complain about daily tribulations but I am thankful for so many things. Thanks for sharing. Gratitude completely changes your outlook. When I am going through a hard time in my life, I shut myself completely off. Until now I hadn’t really thought about how that could be affecting others. I just told myself I was sparing them from dealing with my troubles, when in reality I just didn’t want to find the energy to engage with others. Gratitude and the expression of gratitude go a long way for our own happiness and spreading that to others. Being thankful helps in so many ways! It can change a persons whole outlook. Thank you for posting this! Great post. Something I definitely need to work on. 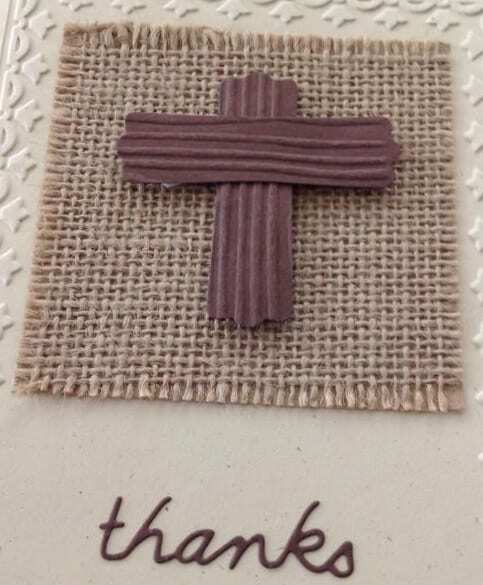 I am thankful for you and this post. The Bible verses at the end really made it all complete. It is such a blessing to me. Thank you. Gratitude is something I can never practice often enough! Thanks for the reminder. Life’s journey has so many lessons along the way. Thanks for the post. What a great reminder to be grateful. It’s hard sometimes when you lead a busy life…you have to be intentional about it. Everyone should be thankful for what they really have. It is really beautiful experience. I think it’s always good to stop and think about all the great things we are thankful for. compassion and empathy are important traits to have as a person, I like that you’re positive and using your experiences to carry on and push forward. It’s quite nice to be reading this in the morning. Life can be so complicated that we sometimes forget to be thankful. Timely reminder. Be blessed and keep bringing graciousness into world. I practice gratitude when I’m having a bad day. It really helps change my perspective. This post is a great reminder that evereyone should be thankful. It’s so important to be empathetic and compassionate. I’m thankful for waking up this morning and being able to read this article. I realize that I take things for granted and I need to reminded of what I have. Comparing is never good. You never know what’s going on behind closed doors! lovely post! I like the concept! Being thankful also helps me move forward from the hurts a lot faster than before. Thankful you wrote this post! Being thankful is a great thing you can do for yourself. Practicing gratitude make a better world to live!!! It is important to press onwards. It is really important to be strong and move ahead. I hope Kat is feeling better. Blessings to you and your kids. The good Lord really blessed us this week with news that our newborn’s second set of screenings came back good! Awesome. My heart is thrilled for you. thankful for my loving husband and family. so very appreciated especially those days when i feel like a nobody. No matter how bad it gets there is always so much to be thankful for.. Thank you for reminding us.. I am really glad I came across this post today. I really needed this.. There is so much to be grateful for, we tend to overlook.. I am really glad I came across this post today, its God sent. I really needed this reminder. Thank you for being a blessing. I have gratitude every day that I get to do a job that I love. I know many people who don’t enjoy their jobs. I think it’s a big part of feeling fulfilled in your life. If you are happy with the work you get to do, maybe other problems in life don’t seem quite as rough. But this is true with whatever aspect of your life you’re most satisfied with. If you at least have one thing to be happy about, it makes life seem better overall. Thank you for the reminder. It is so important to be thankful, but not always easy. Thank you for sharing this great message and reminding us God’s love and grace. Keep up the good work. Great post! I always try to be grateful but most of the times fail. If we will see how good God is, it will be easier to do. It is the power of the journey that makes us strong. Being thankful is so important. I always strive to be thankful on a daily basis. 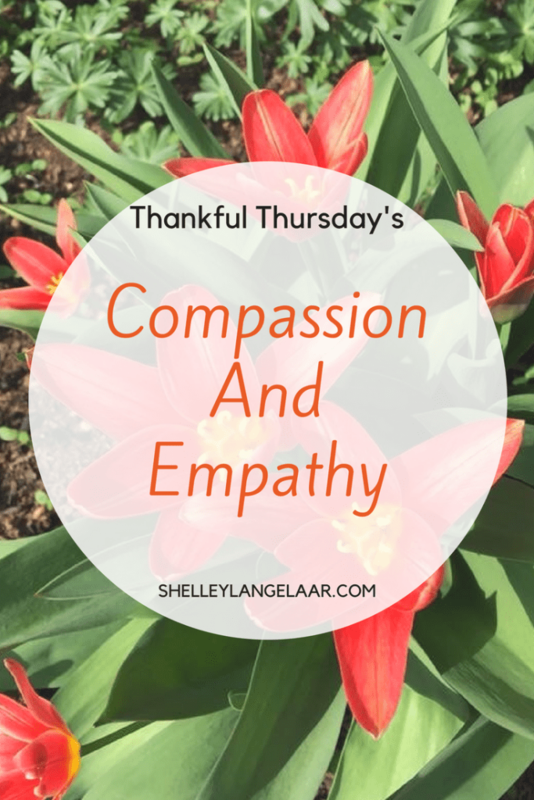 I think compassion and empathy are great things to be thankful for. I’ve been finding myself thankful more every day for the little things. We seem to take the little things for granted. I love this! Being thankful truly is a choice at times. Of course there are times when thanksgiving just pours out, but when we are feeling negative then we really need to make sure that we make a point to be thankful. Thank you for the reminder!! Yes, it is a choice. Grumbling and complaining just makes me miserable and I believe closes me up from blessings. Thank you for sharing these bible verses. I am thankful to God that despite hardships, our family can still cope up and have the choice to live happy and content. Gratefulness is very important and it will always be. You have to try and think about all of the bad thins in life that could have happened but didn’t, you stubbed your toe–well at least it isnt fractured! Haha, thanks for sharing. Great post and great reminders- empathy is very important. You’re right, sometimes it is so hard to be grateful, but it’s so important. Today I am thankful that my son’s eye exam went well and we still don’t have to do surgery just yet. I have made an effort to be more reflective lately. I totally agree that empathy is so important. I try to see the other sides of situations, so that I can be more understanding. Good choices. Understanding is crucial in moving forward. Blessings. I am with you on the compassion and empathy. Your post just made me realise I took these God-given qualities for granted and never saw them as a gift although somewhere in Romans mercy is called a gift. Thank you for this exorting posts that reminds me of the attidue of gratitude. Bless you! If there is anything I learned growing up in a squalor community, it’s compassion and empathy for those who don’t have the most basic of necessities. It truly makes me grateful for the little things like having food on our table and a bed to sleep in. What a positive post! We all could use to take some time to be grateful for something. I am forever thankful for my daughter after losing 3 children I was completely broken. She saved my life. I am so sorry about your loss of your children. Your daughter is definitely a rich blessing for you. Blessings to you. While I am not religious myself, compassion and empathy play huge roles in my life, as they should everyone. I think it is so important to put yourself in others’ shoes and understand where they are coming from, but also have compassion and empathy for yourself.